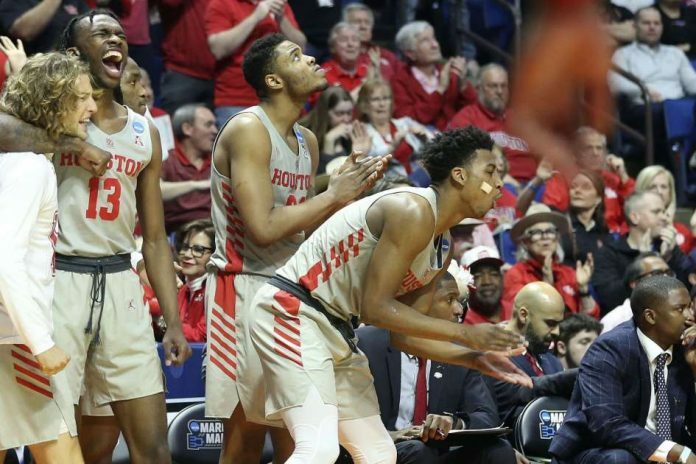 The Houston Cougars are headed to the Sweet 16 for the first time since 1984. Houston, a No. 3 seed in the Midwest division of the bracket, solidified its spot in the Sweet 16 with Sunday night’s hard-fought and convincing victory over No. 11 seed Ohio State. Four of UH starters (Corey Davis Jr., Fabian White Jr., Galen Robinson Jr., and Armoni Brooks) scored in double figures. The Cougars face No. 2 seed Kentucky later in the week for a spot in the Elite Eight. In 1984, when Phi Slamma Jamma was known as one of the premiere college basketball programs in the country, the Coogs lost in the NCAA Final to the Georgetown Hoyas, led by Patrick Ewing.